This is a Checkered White Butterfly on my flowering mint today. 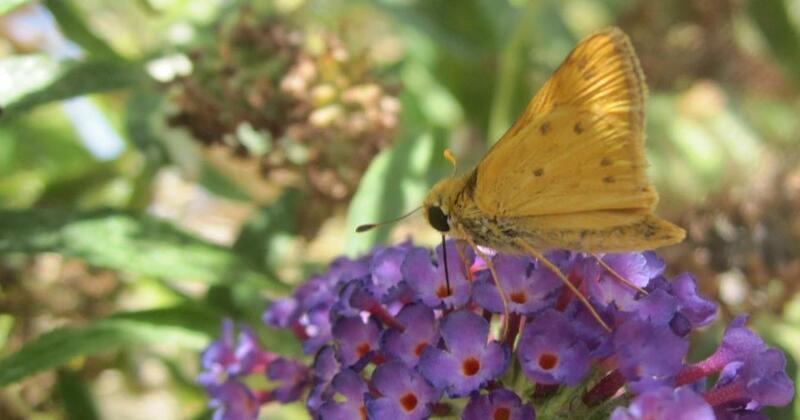 Butterflies, bees and hummingbirds have similar preferences. Flowers! Annual flowers, perennial flowers, vegetable flowers, flowers on fruit trees, herb flowers--you name it. Catering to the hummingbirds and butterflies. Though hummingbirds do prefer trumpet-shaped red flowers, like petunias. Butterflies prefer blue flowers, like lobelia. So we have many baskets full of both flowers hanging or in borders. The flowers are regularly visited by generations of Anna's hummingbirds that live and nest in our yard. The mom hummingbirds use spider webs to make the nest. They nests are so tiny, a little larger than the size of a computer key. 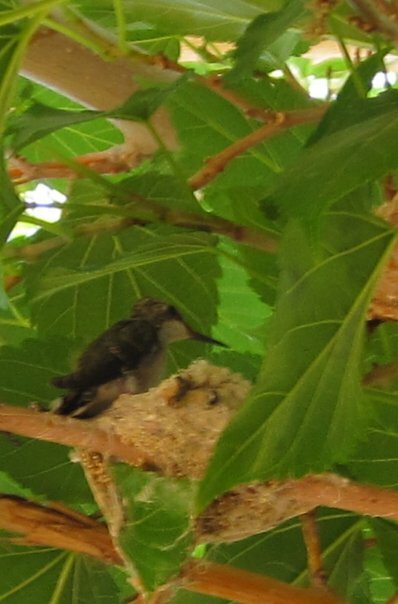 Baby hummingbird in our Fruitless Mulberry tree. We get Painted Lady butterflies, Monarchs, Swallowtails, Umber Skippers and the White Cabbage pictured above I noticed this afternoon. At least, these are the butterflies I have identified. I am a novice. 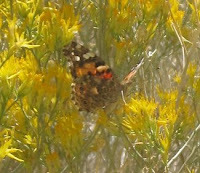 Painted Lady on Rabbit Brush, grows naturally here. Our home is in a rural area near Mojave Narrows Regional Park, so I can't take much credit for attracting the birds, bees, and butterflies. But I try to make them happy. I'm glad to report our bees are very active and productive. I found this great site today. Maybe you would also like to participate. 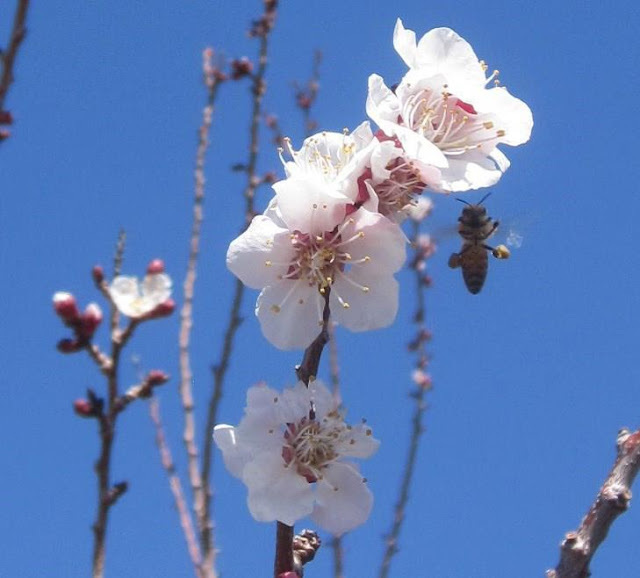 Thank you, Friend Bee, for pollinating the apricot trees. The apricots have been delicious!